MIDSOLE SSL EVA is Saucony's premium midsole material for lightweight comfort, rebound and durability. Dual Density Medial Post in the midfoot works to correct overpronation. OUTSOLE PWRTRAC offers significantly more traction than traditional rubber for superior traction on the roads. 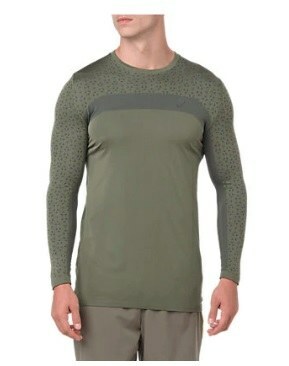 UPPER Engineered Air Mesh comprises the upper, providing lightweight breathability. Flex Film Overlays are made of a thin film that is welded to the upper for a snug, secure fit. Premium Sockliner is a breathable, moisture wicking, anti-odor and anti-microbial Ortholite insole that provides improved step-in comfort with rebound properties. Strobel Last with the upper stitched to full length HRC Strobel Board, for responsive, enhanced cushioning and a soft underfoot feel. A lightweight road racing flat with a hint of support, the Saucony Fastwitch 8 provides mild overpronators with a responsive race day option. The shoe remains light and supportive through the use of a thin SSL EVA midsole that pairs with a dual density medial post. Along with an all new engineered mesh upper, this racer offers a softer, more breathable experience while creating a snug and secure midfoot wrap. For the racer seeking support without all the extra bulk, the Saucony Fastwitch 8 is ready to toe the line. For best fit, we advise customers to avail of our detailed gait analysis service.